Meet Eric Glaser. He's senior partner of Blue Lacuna, a company that enables customer-facing business representatives to generate professional data-accurate reports, presentations and sell sheets at the click of a mouse. As Eric states on his company website: "Our passion is to develop hybrid software tools that automate the delivery of information, resources, data and documents into the hands of the people who need it, when they need it." I worked with Eric when I was with Solutia's Wear-Dated carpet fiber division and experienced firsthand how practical and effective his solutions are. 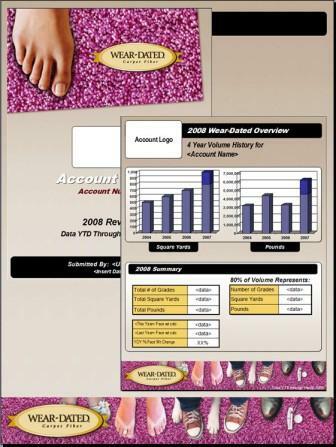 When we met I had manually crunched data from complex merged sales and product databases which I then translated into 100s of PowerPoint presentation reports for our regional managers to use in customer meetings - over a three month period. Eric developed Report Builder which not only automated the process, but placed the report generating process into the hands of the regional managers who could pull reports in minutes and no longer had to rely on me. Talk about a practical marketer solution! You can read more about the project in Wear-Dated Report Builder: Case Study. I caught up with Eric and asked him to tell me more about how his business concept had evolved into Blue Lacuna. C.B. : The ability for sales and marketing people to generate professional communication tools, customized, at the point of use and as needed. Talk about empowering salespeople and marketers! Eric, how did the concept develop and become Blue Lacuna? I "cut my teeth" in the slide and overhead era of the early 1990s, successfully evolved into the "multimedia" revolution of the mid 1990s and rode the Internet boom of the late 1990s and early 2000s. In mid 2000s the dot com meltdown became evident and I became obsessed with developing the next intelligent evolution in business communications, I talked to as many existing customers as I could find and collected as much input as I could. I enlisted the help of some senior people and we attempted to distill the current sales and marketing process down to its essence and see where it might lead us. Very quickly, and quite surprisingly, a huge UNIVERSAL problem emerged at the interface between sales teams and their customers and prospects. Simply put, field forces felt they weren't equipped to deal with the ever-evolving demands of their customers. Almost to a man or woman, sales reps told us that their customers had become more demanding and challenging. If reps could not communicate with their customers with exact data and the customer-specific formatting they wanted, they were at a competitive disadvantage. Making the problem worse for reps is the traditional corporate response of outfitting the sales force with a few databases, some web site passwords and a PowerPoint template. Field sales people would then spend hours, or in many cases...days, rooting through databases to find relevant data, product specs, images and other resources and then assembling a customer-specific selling presentation on their own. Think about how much a typical company has invested in Marketing, Sales, I/T and Product Development. It's considerable. And then, in the critical last step of the process, your sales person is in front of the customer with something that may not represent your company in the best possible light. We saw a clear path forward and went to work. Fast forward to late 2006 and, after a lot of effort, we had outlined the ideal solution. We had our guiding principals in place and wanted to outfit our customers' field forces with the ability to quickly and easily create on-demand, customer specific, highly professional sales and marketing documents of all kinds. It MUST build on existing hardware and software, not replace or add expense/complexity. It MUST be able to import and use virtually all types of existing legacy resources. In early 2007, Blue Lacuna, Inc. was born and our vision became reality. C.B. : What different products does Blue Lacuna offer? Based on the needs of our client sales and marketing forces, our web-based product set consists of four types of solutions. Each solution has a different application and end result, but the goal is the same for all: empower field forces with the ability to quickly and easily create what they need to be more effective and efficient in their jobs. A fast and highly intuitive tool that allows reps in the field to quickly and easily create the customer-specific selling document needed to put your company over the top in any situation. Customers include Mead, AT-A-GLANCE, Absorbine and more. Empowers users to quickly and easily customize and build customer-specific selling presentations. iPresentationBuilder helps to maintain brand integrity, provide a high degree of professionalism and deliver powerful and consistent messaging, across your entire sales organization. Customers include Coca-Cola, Kodak and more. A powerful, ultra-sleek tool that is ideal for extracting and organizing critical data from large databases. iReportBuilder works with ease, across multiple databases where necessary, to automatically generate accurate and highly professional Sales Account reports in seconds. Customers include NAPA, Wear-Dated Carpet and more. Simply put, a "de-bloated" version of Salesforce.com. Allows field sales reps to report their sales activity across multiple lines at a single point of entry, reducing time to report by up to 90%. Powerful reporting module gives reps, principals and manufacturers all the data they need. Customers Avery Dennison, Fellowes, Stanley Bostitch and more. C.B. : How do these products work with the various new tools available [e.g., online, iPad, etc.]? All of our solutions are web-based currently and are fully compatible with Internet Explorer and Firefox browsers. A roadmap is in place for the mobile computing future and we are developing versions of our products for iOS, Android and Blackberry as customer needs dictate. C.B. : Are you doing anything on the social media front? Why/why not? C.B. : Are you doing anything with analytics data, looking at web site traffic, keywords, bounce rates, etc.? Same answer, just barely scratching the surface. We are passionate about the power of data and are constantly looking at Google Analytics to support our offerings. Also, many of our projects offer email blast functionality and we have increased our proficiency in this area greatly over the last 12 months. More to come...2011 looks to be a very exciting year! C.B. : Knowing you, those could be mighty interesting products, too! Thanks very much, Eric! Comments, questions, feedback for Eric? How do you go about taking the data that you have available about your business and translating that into a meaningful story you can share with customers? Having been there, I'd love to hear what you have found most helpful. For that matter, what have you found most frustrating? 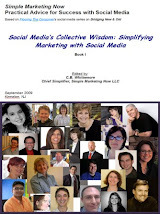 Below are links to Simple Marketing Now LLC's 2010 Press Releases. Susan Negley is the editor of the Floor Covering Institute's Blog. Given her immersion in social media and content marketing, I thought you would appreciate her perspective on how the tools of social media - and in particular the blog - have benefited her organization, The Floor Covering Institute. 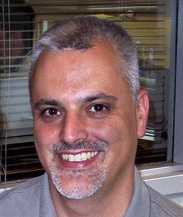 For the record, I am advisor, contributor and creator of the Floor Covering Institute Blog. C.B. : Susan, please tell me about yourself and your background. The most consistent themes in my professional life have been writing and floor covering. Writing started as a kid and then I attended journalism school. Most of my life I’ve managed to incorporate that skill into what I was doing, whether it be editing newspapers, writing legal briefs or research and marketing. I became associated with the flooring industry in 1980 and in a more direct way in 1992 as joint owner of two retail stores. That experience makes me appreciate the challenges of retail! I’ve also worked for two large floor covering buying groups (Color Tile and CCA Global Partners) and a flooring distributor, primarily in the marketing and communications field for each. Now I am part of a floor covering consulting group, The Floor Covering Institute, where I have the privilege to work with people who love the flooring industry and enjoy helping it grow and prosper. C.B. : What is the Floor Covering Institute? The Floor Covering Institute is an umbrella organization under which a group of flooring industry experts offer their combined and individual services to the floor covering industry. It’s unique in that it’s the only independent consulting group of its kind in flooring; the consultants are all executives from within the industry. The knowledge base is both deep and broad. If you add up the combined experience in the floor covering industry among our 10 members it’s something like 260 years. Between what we know and who we know, there isn’t much that we can’t do for our clients. We work with retailers, distributors, manufacturers, buying groups, logistics companies, providers of raw materials, governments and others. Our industry is global and so are our clients and consultants. We work with single retail stores all the way to the world’s largest manufacturers and every type and size of business in between. Each associated consultant has a focus area and an independent practice; we work together as teams when the clients’ needs call for it. C.B. : What is your role at FCI? Or, perhaps I should ask 'What don't you do!" I have a title - communications director - but frankly, like so many titles, it’s not that descriptive of what I do. I’d say I’m a researcher, writer, editor, publisher, administrator and overall coordinator. Besides the blog publishing schedule, I have a long list of articles to research and write for clients, I’m researching information on the life cycle analysis of wood flooring and the increase of LEED building in Asia, preparing a presentation for the United Nations to encourage more government/industry interaction during the International Year of Forests 2011, working on the education program for the international Wood Flooring Forum (part of Asia’s floor covering trade show, Domotex, in Shanghai next March) preparing marketing materials for a VIP tour of retail stores in Hannover, Germany in January (part of Europe’s floor covering tradeshow, Domotex), developing an education presentation on various governmental regulations that affect our industry for Surfaces (the U.S. floor covering trade show) in January. One of my continuing objectives is to keep the institute founder, Jim Gould, free from as many distracting chores as I can so he can focus on what he does best, which is solving problems and creating new opportunities for our clients. C.B. 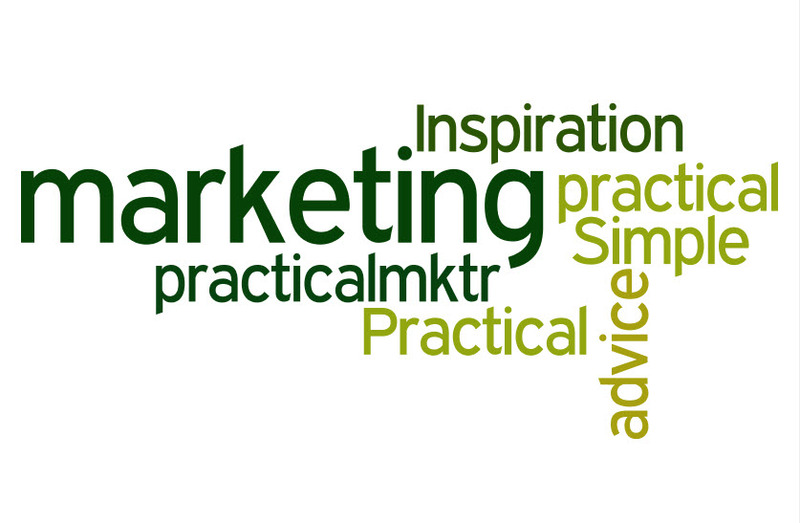 : Susan, what about social media and the Floor Covering Institute? I see that the potential is much greater than what we are doing now. It’s a matter of hours in the day that are left to learn about it and how to make the most of it. I am “of an age” where social marketing does not come naturally. 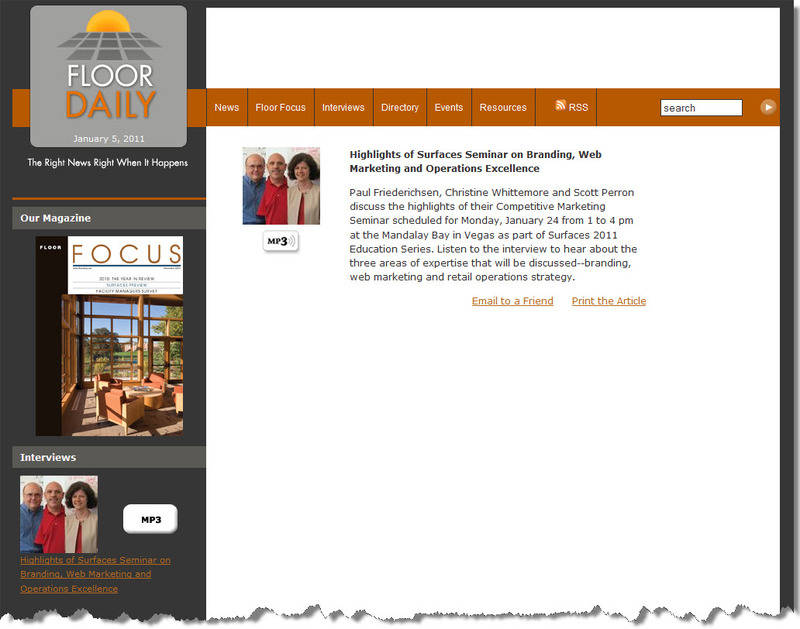 I can say that our blog (www.blog.floorcoveringinstitute.com) has really enhanced awareness of who we are in the world. We have a Facebook Fan page and we use Twitter, but we don’t use either effectively and that’s a really sad commentary since I have access to you, the expert! C.B. : The FCI Blog launched in September 2009. What other benefits has it brought to FCI? While our founder, Jim Gould, is well known in the industry, as are our consultants, the Institute itself was formed only a few years ago and the consulting business was a start up. We’ve made the blog key to building the brand. It’s been running just over a year and now when I research the Internet for information about our industry the FCI blog invariably comes up at the top or near the top of the return. We hear often from people around the world who read it. Our readership is much greater than the number of our actual followers. That is partly due to more and more people linking to us. We just received a request from McKinsey Consulting (one of the most well known firms in the world) who wants to consult with us on this industry and I am sure the blog played a part in that. C.B. : What has been your biggest surprise[s] with the FCI blog? Perhaps not so much a surprise, but a light bulb that went off some time ago - that what is posted on the blog is there forever for people to find, not just that week, but months and potentially years later. As editor I try to not leave too much unexplained or assumed. As a consumer of information I find it frustrating when terms are unexplained and I have to leave a website to research their meaning. I encounter this often in social marketing blogs and websites, probably because I am a neophyte and need things explained in very basic terms. I don’t think the webmasters desire me to have to leave their site for better explanations but it happens often. I have to assume that others, especially retailers who are stand alone operators, also encounter this frustration. C.B. : What about LinkedIn and Facebook? How are you using them? We have a Facebook page and I direct our blog posts to it. I find it interesting that we have followers on Twitter, fans on Facebook and followers of the blog with not many duplications. The same content is offered through all three avenues and people consume it from the source that works best for them. That’s one of the things I like best about social marketing, you can push information to people through their chosen channel rather than having them work to pull information from you. FCI doesn’t use LinkedIn much but our consultants do individually. It’s not surprising to find that some are really good at it and some don’t bother. In that respect, we’re a microcosm of the flooring industry. C.B. : What do you love most about the various digital tools you are using? I like the information loop that social media creates. For example, I’ve just figured out (now you’ll really see that I’m new at this) that the word length constraints of a blog post (trying to keep it short) does not have to limit the discussion. We can publish as much detail as we want by simply linking back to our website where we can write in more detail on any topic. For example, Mitch Dancik, (President of Dancik International) is one of our consultants and the quintessential expert on B2B in our industry. His updates on this topic should be augmented by much more in depth information placed on our website in a format that follows his blog post. And that page should link to his company website, and his company website should link back to our blog and his page on our site. Not all of these loops are in place but the potential is obvious and he is just one example. I still struggle to make good use of it really. I marvel at people such as yourself who get the 360 degree picture and don’t just understand the concept but have the technical skill to execute. I’m still learning and time constraints seem to hold me back. I’m most comfortable with the blog because of the familiar medium. C.B. 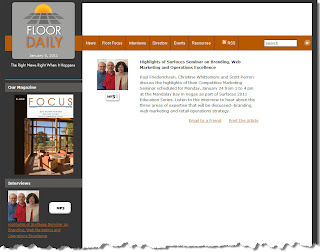 : What’s on the horizon for the Floor Covering Institute and the FCI Blog? For the blog I am planning a series of interviews (similar to what you do here) with people in the floor covering industry. I will select people from every tier (retail, distribution, logistics, exporters, importers, manufacturers, etc.). I need to do some Asia/EU SEO so that we are easier to find. I am writing a series of articles on diverse industry topics to be published outside of the blog but some topics and am spending a lot of time working together with Jim to create an international event in Shanghai in March 2011 for the floor covering industry. We are working with the United Nations to promote the International Year of Forests 2011 within our industry, and helping both Domotex Asia and Domotex Germany expand their education programs and make their shows more attractive to American attendees. Like most of the FCI consultants, I am also working on an education seminar for the U.S. floor covering trade show, Surfaces. C.B. : What's the best way to reach you and find the Floor Covering Institute online? People can contact me through email at snegley@floorcoveringinstitute.com, visit our website at www.floorcoveringinstitute.com, read our blog posts at www.blog.floorcoveringinstitute.com, follow us on Twitter @FloorcoveringIn, or become a fan [i.e., 'Like' us] on Facebook. Thanks very much, Susan! All the best for Surfaces 2011. I look forward to seeing you there, and good luck with your projects. They sound intensely fascinating. Comments, reactions, questions for Susan? How have your blog, Facebook page, LinkedIn profile, Twitter activity or other social media marketing activities benefited your business? Which work best for you? 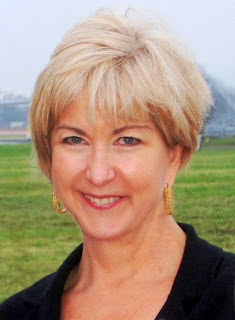 Kinnelon, NJ – Christine B. Whittemore, chief simplifier of Simple Marketing Now LLC, will focus on connecting with customers in-store and online in three education sessions she will lead during Surfaces 2011, the annual exposition for floor covering professionals. The three sessions which address social media marketing, the retail experience and marketing to women offer flooring retailers strategies and tactics for building trust and digital visibility with coveted women consumers. They consist of a three hour workshop and two one-hour seminars and take place at the Mandalay Bay Convention Center in Las Vegas. 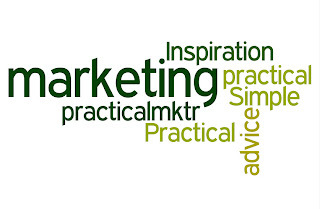 The Basics of Competitive Marketing, on 1/24/11, is a three-hour workshop from 1pm to 4pm with fellow presenters Paul Friederichsen from Brand Biz, Inc. and Scott Perron of Big Bob’s of America. The three presenters bring different perspectives to the session: branding, web/social media marketing and retail operations strategy, with a common focus: to help retailers be more competitive in the flooring marketplace. Social Media 101 takes place on 1/25/11 from noon to 1pm and explores using social media marketing in your flooring business. Per the course description: "Consumers start the majority of their purchases at an Internet search window and obtain feedback on whether to purchase a product or visit a retailer based on word of mouth perspectives from their social networks. What is a retailer to do? Rather than ignore the online social networking trends taking place, retailers need to understand the range of digital tools available and decide how best to integrate them into their ongoing business activities to drive business results." Marketing to the Ultimate Power Consumer: WOMEN, is scheduled for 1/26/11 from 12:00pm to 1:00pm. Women make or influence over 80% of purchase decisions - especially in flooring! This presentation addresses marketing to women starting from a big picture perspective that puts into context how important women consumers are to the flooring business. From there, it explores the purchase process, the retail experience – both online and in-store – and communication differences between men and women to be aware of while selling. To register for these sessions, log on to the Surfaces website http://www.surfaces.com/attendee/show-information.aspx. 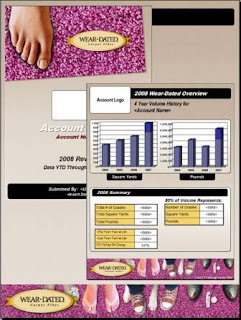 Simple Marketing Now issues the Social Flooring Index - http://www.SocialFlooringIndex.com - which monitors the social state of the Flooring Industry. Happy 2011! Here are this year's first links and resources shared on Twitter and tagged #practicalmktr grouped together in Practical Simple Marketing In The News. Surfaces/StonExpo 2011 is right around the corner - January 24 through 27 [if you include Education Day] to be exact. Time, then, to share information with you courtesy of FloorDaily.net's Kemp Harr about the three hour workshop titled Basics of Competitive Marketing taking place on 1/24/11. Paul Friederichsen, Christine Whittemore and Scott Perron discuss the highlights of their Competitive Marketing Seminar scheduled for Monday, January 24 from 1 to 4 pm at the Mandalay Bay in Vegas as part of Surfaces 2011 Education Series. Listen to the interview to hear about the three areas of expertise that will be discussed--branding, web marketing and retail operations strategy. By the way, in the interview we refer to a survey that we invite workshop participants to take. If you'd like to add your perspective to it, you are most welcome! Although designed with Surfaces/StonExpo attendees in mind, it's also relevant to small and medium businesses regardless of industry. It's a 10 question survey and should only take a few minutes. Here is the link; just click on it. To put the 2011 Basics of Competitive Marketing workshop into perspective, it represents the second time that the three presenters - Paul Friederichsen, Scott Perron and I - have collaborated at Surfaces to address marketing. We each have distinct areas of expertise which we weave together for our workshop participants - primarily small business owners, retailers and distributors in flooring and stone - so they can apply the knowledge to their own businesses. This link takes you to the Surfaces Schedule at a Glance. You will need to register to attend. P.S. : In addition to this workshop, I have two other presentations scheduled... on social media/content marketing and marketing to women/retail experience. Have you been gazing into the 2011 crystal ball and wondering what's ahead? 100 of my fellow social media and content marketing experts have done so. 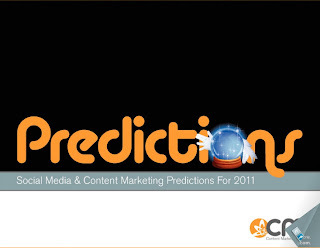 The resulting predictions for 2011 have been captured in Content Marketing Institute's and Junta42's Online Magazine of Social Media & Content Marketing Predictions for 2011. I hope you'll read through them all. Page 7: Katie McCaskey refers to 'small is big'. Sally Falkow addresses the importance of relevant content. Page 8: Chris Brown is bullish on blogs and QR codes. Page 9: Nate Riggs highlights the importance of company culture and engaging all those within your organization. Page 14: Arnie Kuenn focuses on content as a key business marketing strategy. Page 17: Brian Solis describes 'information curation' and the critical role of the social media curator. So does Gabrielle Rosario on page 26. Page 18: Dan Blank states that "content creation and distribution in 2011 will all be about relationships, and establishing credibility and trust within communities." Page 26: Ann Handley cautions us that supreme content "...shares or solves, and doesn't shill..."
Page 27: Drew McLellan believes that small businesses will realize how powerful content marketing is. Page 28: Kevin Dugan predicts the end of silos and the blending of marketing and technology. 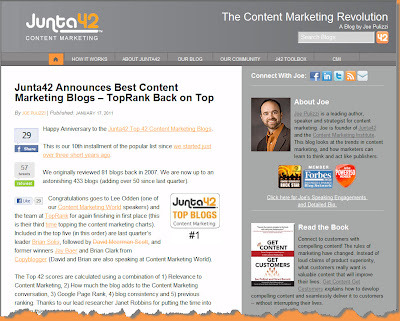 You'll also enjoy Joe Pulizzi's favorite predictions in The Best Content Marketing Predictions for 2011. My predictions appear on Page 21. I share them with you here. Content marketing allows businesses to connect with potential customers, develop relationships with them and identify for them solutions that often prequalify them for doing business with you. No surprise if you’ve been paying attention to the chaos in the marketplace, the diminishing success of traditional based advertising programs and appreciate how customers are increasingly time constrained, marketing-skeptical and information overloaded. Savvy brand marketers have noticed and taken action. They have listened intensely to their markets and customers, uncovered critical issues for which they have solutions, and successfully created content where fluff and false claims have been replaced with meaningful, engaging and even entertaining material in the words customers use. They are convincing upper management that content marketing provides a direct connection to customers and that success is a function of corporate buy-in. Despite the pressure to create meaningful content, the more content marketing is adopted throughout an organization, becoming part of its culture, the more content creation can be distributed, too. Zappos comes to mind. 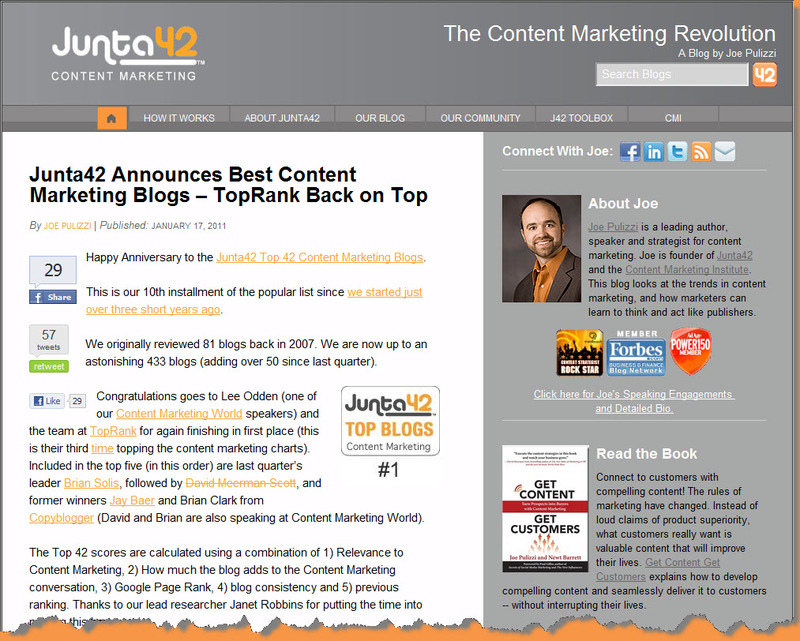 2011 will see more and better integration of content marketing within organizations. As organizations adopt the customer-focused attitude resulting from content marketing, they will expose the voice of the customer to the entire organization. In so doing, more people in the organization will be drawn into participating in the content creation process and the customer-feedback loop. In fact, they will realize how it adds value and richness to their roles in the organization! Brand marketers may curate this content, but they will no longer be solely responsible for its creation. In terms of content distribution, every organization regardless of size that is serious about creating rich, relevant content with the purpose of connecting with potential customers should give serious thought to distributing that content via a blog. 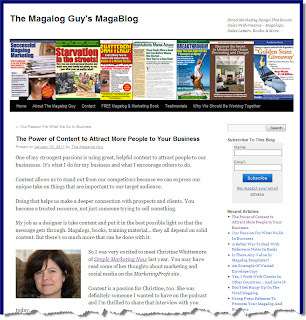 If you haven’t yet launched one for sharing your content, make 2011 the year to address that shortcoming! 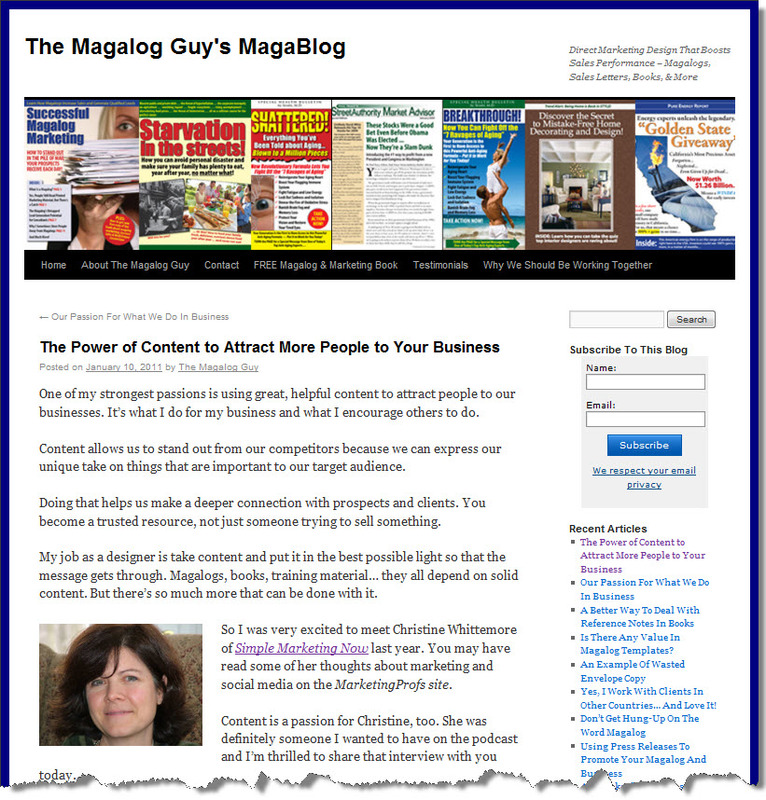 Beyond your blog, with the increased awareness and appreciation for customers you will notice a greater sensitivity and willingness to ask and respond to customers’ preferences for how they want to receive content. They may surprise you! What's your prediction for 2011? And which predictions in Content Marketing Institute's Social Media & Content Marketing Predictions for 2011 do you find most intriguing? P.S. : Since we're on the subject of 2011 predictions, you might enjoy Five B2B Trends for 2011 from FastCompany.com. Trends 4 and 5 are my favorites. Can you guess why?